Over the past few years, many gamers have become well acquainted with Telltale Games. Since their point-and-click adaptation of The Walking Dead back in 2012, this developer has gained an immense amount of recognition. Fast-forward four years and they have a hefty amount of titles under their belt. Throughout their rise to fame in the gaming industry, a number of well known names in both the TV and gaming world have been given the Telltale treatment, but only The Walking Dead has been lucky enough to make a repeat appearance. For the third time, it is showing its face once again but not in the way that we remember. Instead of Clementine, we get Michonne, better known for her role in the comic series and TV show. Set to span over three episodes, how does the opening of The Walking Dead: Michonne, "In Too Deep", stack up to its counterparts? If you aren't up to speed with Michonne's story, the episode is set up so that anyone can jump in and there is no confusion as to what is going on. For those who haven't yet met Michonne, she is one of the more battle-hardened characters of the franchise, scarred by past events and attempting to heal those wounds by slicing every walker in sight with her trusty machete. She is dark and brooding on the outside, but has an extremely vulnerable core that is translated well into the game. The episode begins with the struggle against her memories, something that plagues her at various points throughout. This adds diversity and depth to Michonne's own personality. The other characters that we meet aren't quite as multi-dimensional and it takes a while to develop any real connection to any of them, something that does improve as the episode progresses. There is a fairly large cast for the episode's run-time, but Michonne is the only character who you'll be able to examine at close range. At this early stage, it's understandable that we aren't completely acquainted with everyone, although the scene has been set for some intriguing personalities. The episode itself takes on the exact formula of past Telltale titles and is immediately familiar in design. While there is no need for this instalment to stand out anyway when compared to previous iterations of The Walking Dead, nothing feels particularly new as you play. This lets the episode down slightly as it doesn't possess the originality of Tales from the Borderlands, for example, but that sense of familiarity helps to welcome back those who have played previous Telltale adventures. Throughout the episode, the game will place you in various scenarios to keep the gameplay varied. Long conversations will be had, player-controlled exploring will be done, and, of course, walkers will be fought. This is all part and parcel of The Walking Dead but Michonne brings a little more flare to battle. 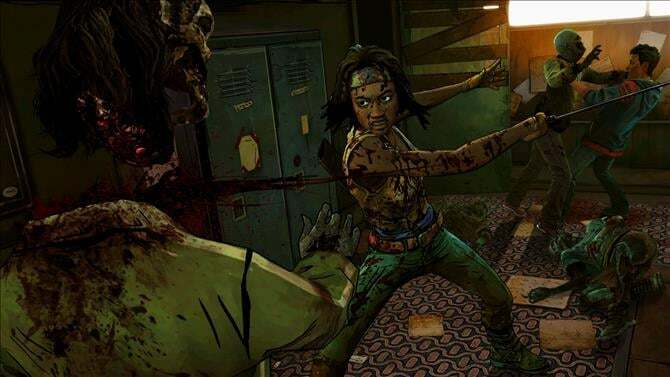 Upon unsheathing her machete, the screen will narrow as you input different button sequences to vanquish the undead and the game will occasionally slow down while Michonne prepares for the killing blow. It's still a simple quick time event "press this button" idea, but it's a small improvement that creates a dramatic element to fighting walkers. The different player options still seem to give off an illusion of choice rather than having a meaningful impact, as has been noticed in moments of past games. The same outcome will ultimately come to every player at the end of the episode. The ending has set itself up for a potentially chaotic and exciting follow-up, though, so players will feel enticed to go on and grab the whole package when trying out this episode. With this same formula, though, comes the same problems. Lag and freezing issues have been experienced in past Telltale titles and they are certainly apparent here. The opening credits froze for a few seconds on a couple of occasions and the frame-rate struggled to retain its usual state upon picking certain choices, so there are cracks forming in the game engine. It won't spoil the episode outright, but potential game freezes definitely aren't wanted. Despite the different gameplay elements, the "Mini-Series" part of the title is certainly in full force as it is over fairly quickly. 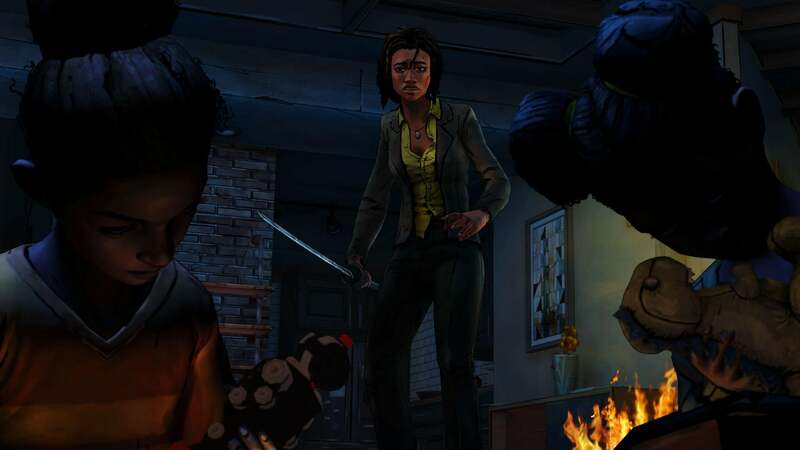 Whereas other Telltale episodes could make it past two hours if you soak in the atmosphere, Michonne's first episodic outing is over in around 80 minutes and that's if you take your time in doing everything. The episode's slow start evolves into a more enthralling story towards the end; hopefully, this means that recurring episodes will have more content in them. 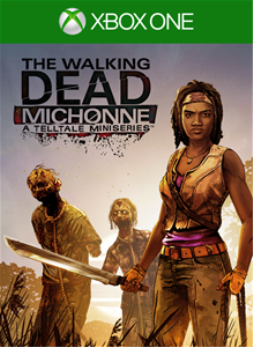 Previous Telltale games have never been challenging in the achievement department and The Walking Dead: Michonne continues the trend. Simply play through the episode and you'll grab all available achievements and gamerscore. As there are only three episodes in total, each episode will bag you a bigger portion of the overall score, so for an easy 330G, look no further. 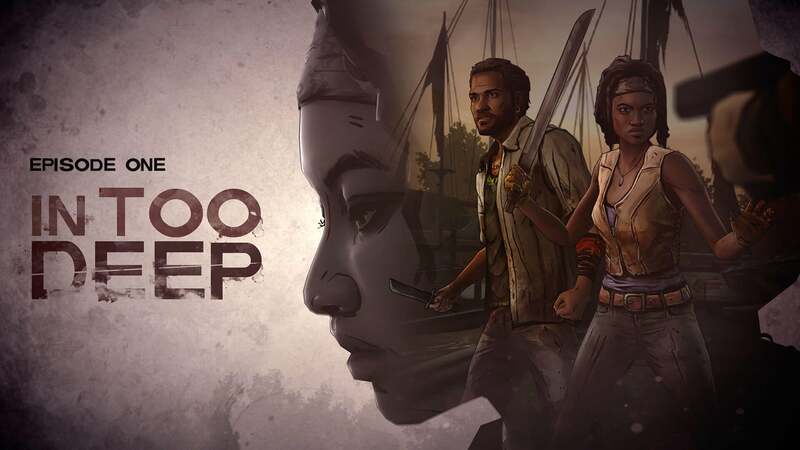 The Walking Dead: Michonne "In Too Deep" is easily one of the shortest episodes to be released and won't take you long to complete, but Michonne is an intriguing character and she has a lot of emotional baggage. Seeing how she will develop in the next two episodes is enough to make you want to come back for more. Those who decide to jump into the game will likely have experienced Telltale in one form or another; the gameplay remains the same as previous TellTale experiences and occasional lag unfortunately creeps back in. Don't expect something quite as major as the previous The Walking Dead Telltale titles, or even other series, but if you come in with expectations of a peek into the life of someone new, you will be satisfied with what you get. The reviewer spent just short of 1.5 hours playing through the episode, slicing up walkers and seeing yet more people's lives in misery. All 7 of the episode's achievements were earned along the way. A digital code for the game was provided by the publishers for the purpose of this review.